Whether you're a runner looking for a speedy canine companion or you're interested in adopting a breed that will enjoy leisurely walks with you, knowing the slowest dog breeds will help you find the right canine companion. These dogs may not be super speedy, but they make great companions and offer a lot of unique qualities. As with any new pet, don't look at just one trait to determine if a breed is right for you. Do your research and honestly compare with your lifestyle and needs to get the right dog for you and your family. If you've never owned a dog before, the best place to start is by speaking with experts. Talk to a veterinarian, canine behavior specialist, professional dog trainer, groomer or any other doggy expert in your area. Explain what you're looking for and ask for some breed recommendations. Check out some books at your local library or do some research online. Search for dogs that tend to have the attributes that you are looking for. Do you want a dog that is good with children? Are you looking for a watch dog? Are you looking for an active breed or one of the slowest dog breeds? Athletic ability and energy levels are a very important thing to consider. 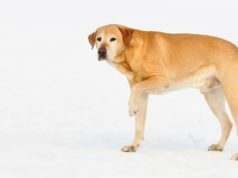 Hopefully, this list of the slowest dog breeds will help you in making a good choice about a dog that is right for you and your family. There are different varieties of the Brussels Griffon. Some kennel clubs recognize them each as a distinct breed, but some do not. These pups (pictured above) are high energy, but they are satisfied with playtime and casual walks. If that suits your speed, the “Monkey Face” dog may be just the breed for you. In their early days, they were rat catchers. Clever and intelligent, they were the right dog for the job. While they might not be fast, the Cavalier does have stamina. They are up for long, slow walks if that is your pleasure. Curious and fun-loving, they need to always be fenced or leashed. Once they something catches their eye, they are deaf to the commands you may be yelling. These canines are gentle and loving. They make great pets for families with children of all ages. Known as the “Charlie” in general, the English Toy Spaniel actually have different names based on their coloring – Red and White = Blenheim, Black and Tan = King Charles, White Black and Tan = Prince Charles, Solid Red = Ruby. While they have been known in England for hundreds of years, they originated from the Asian continent. These slowest dog breeds are not very friendly, but would make a great pet for a couple that doesn’t get out very often. If you plan to take them for walks about town, proper training will be necessary to avoid aggressive behaviors. With speeds under 15 miles per hour, the “Frenchie” is not winning any races. This is not an issue for the proud owners of these four-legged family members. With most owners saying they are “clowns”, they provide enough love and entertainment to make up for the lack of physical ability. Don’t think that they don’t need daily walks, though. French Bulldogs like to eat and can really put on the pounds if not exercised regularly. When they get their little legs moving, a Chihuahua really looks like it has some speed. Probably to them, they are flying, but due to their small size, they cannot hold a candle to larger dogs. These pups are stubborn and out-spoken. Instead of babying them due to their small size, they become better dogs with training and independence. Jealous and devoted, these slowest dog breeds usually do not get along well with other pets. Bred strictly as a companion dog for royals, the Japanese Chin (also known as the Japanese Spaniel) is not very athletic. Although they do love playing and learning tricks, one would not make a great work- out partner. As with most fur-babies, they have more than one positive trait. These pups bark little and keep themselves clean – just like a cat. At 6 miles an hour, this pup is not a “jogging” partner, this little pooch loves to take walks. It even likes to ride in the basket of bicycles. Not very energetic, the “Little Lion” is fine just lounging around and being groomed. Grooming is something you will be doing a lot of with a Shih Tzu. You can call it a tradeoff for its low exercise needs. All around, this is a happy, healthy dog that is content in all sorts of families and living conditions. Although this canine has a worried look on his face, nothing could be farther from the truth. Playful and inquisitive, they are always looking for something new to experience. These outgoing pups do like to play and exercise, but due to their short legs and “smushed” faces, they shouldn't be running long distances. Friendly and gentle, Pugs are great around kids and other pets. The fact that a Pekingese doesn’t run very fast is actually a health benefit for these little guys. As with all “smushed” face dogs, overheating is a serious threat. Many English toy breeds are descendants of this breed. When the British destroyed the Summer Palace in Beijing, they brought several Pekingese back with them. It is a wonder they can run at all. Their long, luxurious hair falls all the way to the ground. While these little tanks may not be fast, they are sturdy. Unlike many Toy breeds, the Lhasa Apso can handle hot and cold weather as long as it isn't too extreme. They can also walk for longer periods of time. These slowest dog breeds do not bark excessively, but they are aloof and don't like strangers, so they will bark if anyone approaches. This is not a family dog. They don't like kids and other pets much. Not liking to be teased and poked, the Dachshund does better with older kids. Their short legs and long body really limit them in their physical ability. They do enjoy walks, but care should be taken so they aren't going up and down stairs. Also, they enjoy being pampered and even dressed up. It is not uncommon to see the “Weenie Dog” dressed up like a hot dog. “Dachsies” have an excellent sense of smell, and will follow their nose if not leashed and fenced. The speed of a Poodle varies greatly depending on its size. The Poodle (pictured above) has Toy, Standard, and Giant variations – with everything in between. If it is important to you to a fast dog for hunting or sports, then go with a bigger dog. While the Toy size can only run up to 10 miles per hour, a Giant one can run up to 30 miles per hour. These fur-babies are the Einsteins of the dog world. Their brains plus their intuition make them extremely easy to train and own. The low, long Sussex is big boned with a lot of stamina. While they are short, they have a commanding presence. A hunting dog, the Sussex Spaniel doesn't make chase, but it is an excellent retriever and will flush out game in the brush. This pup is great for all-day hikes and hunting trips as long as the pace isn't too quick. Friendly, loyal, and patient, they make a great family pet. Legend has it that Fairies ride the Welsh Corgi like a horse. If true, then I guess to them, a Corgi can go as fast as a horse. Although they can run fast enough to herd cattle by nipping at their ankles, their short little legs don't give them a ton of speed. Even with this, these slowest dog breeds are high energy and athletic. They do well in homes with active outdoors people. It is best to always supervise them when around animals or children, they aren't always very tolerant. Also known as the plain, “Bulldog”, this four-legged friend usually won't top 15 miles per hour, if even that. This is great for them, as they are a breed that shouldn't run. It is bad for their joints, and if they get overheated, they will die. They can't swim either. All this makes it sound like the couch potato it is; however, they have a tendency to get fat which is also bad for them. Short walks and frequent playtimes are best for the English Bulldog. The oldest of the two Corgi breeds, “Cardis” are also active and rugged. They have a lot in common with their Pembroke cousins and were even grouped in the same breed – Welsh Corgi – until 1934. While they aren't the fastest dog around, they are likely to get fat if they don't have enough exercise. They may “nip” when playing; this is due to their strong herding instincts. If you think this beautiful dog looks like a Chow Chow, then you have a great eye. The Keeshond shares ancestors with the Chow Chow and the Samoyed. Unlike the other breeds, the Keeshond doesn't have an aggressive bone in his body. A lover of people, kids, and pets, this dog thrives on companionship. Even with that, it does well with alone time. Used to work on barges, speed was not a need. Their fur makes them cold weather animals. When you look at the Basset Hound, you definitely do not see speed. Its droopy appearance is fitting for its personality. In fact, this dog is hard to get moving – unless you get it on a scent. These trackers, pictured above, are excellent sniffers, and they will not stop until they find the prize. Bassets are extremely patient and loving. They are great for small children who might pull on their ears. Not surprisingly, they just lay there. At only 20 inches high, this canine is still 55 – 85 pounds. So, while they are short and slow, they are strong and enduring. Their favorite activities are playing fetch and swimming. Their build also makes these fur-babies excellent all-terrain hikers. The Clumber Spaniel is sensitive responding to positive reward training better than punishment-based training. While they are hardy and healthy, they are not kennel dogs. They need humans. The Chow Chow has a checkered past and a sullied reputation. While reputable breeders will produce a more social, even-tempered dog, they are still very independent and suspicious of strangers. Like a cat, these lion-like dogs don't like to do anything they don't want to do. For some, this includes running or walking long distances. If you want to give these slowest dog breeds a try, make sure you are up to the intense obedience and socialization training required. Big, heavy dogs are prone to joint issues and should not run; however, long walks are fine and appreciated. While the “Newfie” isn't a stallion on land, it absolutely loves the water. In fact, this breed was developed and used by fisherman. The Newfoundland has a coat made specially to keep them warm in cold waters. They can easily be trained to pull and fetch. Canines in this breed should only be kept in cold climates. These pups are not very fast or very agile. In fact. 2014 was the first time a Shar-Pei won the AKC’s MACH title. While these four-legged companions are very loyal to their owners, they are a tad arrogant. They generally do not do well with children or strangers. Don't let that rule out this breed! They are intelligent and learn quickly, so they take well to socialization and obedience training. To save stranded travelers in Saint Bernard's Pass, this breed needed to be rugged and tough. What they did not need was to be fast, and they aren't. This pup is full of contradictions. Even though they are so friendly, they were used to guard the St. Bernard's Monastery as well. Also, they are very intelligent, but hard to train. This is because are very independent and believe that their way is always the best way. While they are capable of short sprints in a game of fetch, the Old English Mastiff usually runs at around 15 miles per hour. They should still be walked regularly as they tend to become overweight. Measuring their food and sticking to their diet will help with this. These dogs are huge and can break things without realizing it. They also drool quite a bit. Although they are an old dog of war, today's Mastiffs are usually friendly and loving. Another dog of war, the Bullmastiff is still reserved with strangers. This makes this canine a great guard dog, yet they are still surprisingly quiet. Since they don't need a lot of exercise and are not fast runners, they are great for apartment living despite their large size. With dogs this large, pack leader training is a must. Training must begin as early as possible before these slowest dog breeds are too larger to handle.